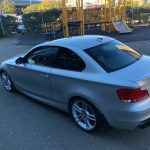 2012 BMW 135i 6 SPEED MANUAL. 49k HIGHWAY ORIGINAL MILES. This is one of, if not, the most well taken care of 135iâ€™s around. This car does not have a single flaw. Stock ALL ITS LIFE and comes with M PERFORMANCE FACTORY EXHAUST (yes it does burble nice 🙂 ) Flawless interior and exterior. Suspension feels brand new. Not a rock chip in sight, not a crease in the leather. Steering wheel completely flawless as well. No curb rash. No CELâ€™s or any service lights, all service up to date. No leaks or flaws WHATSOEVER!!! Brakes done around 2k miles ago and the tires have about 80-90% I should say. Clutch is in amazing condition and feels new. The paint is still glistening. Runs and drives smoother than butter. 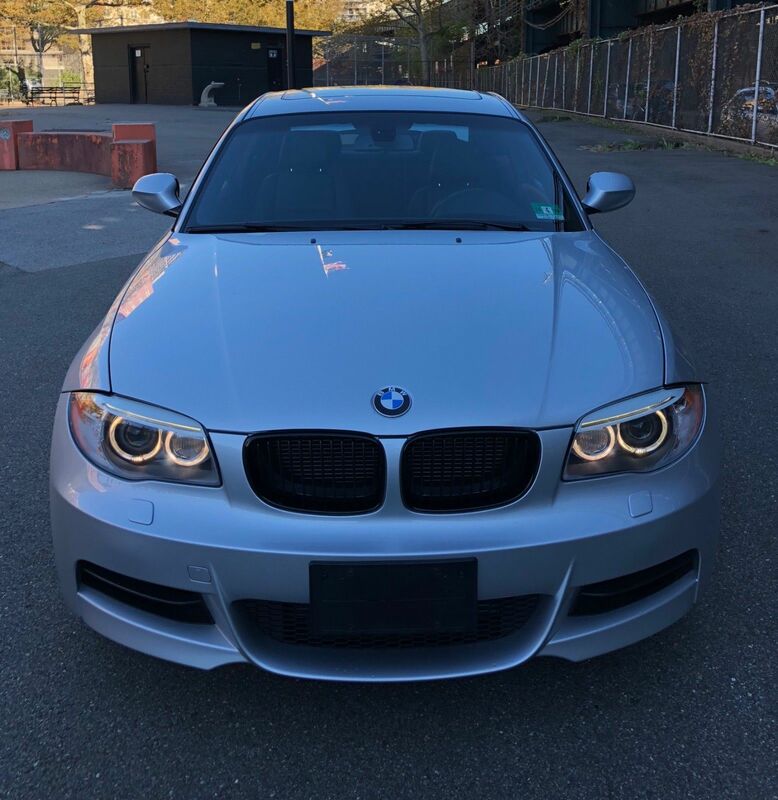 If youâ€™re in the market for a gorgeous STOCK, MANUAL 135i , this is the car for you. Itâ€™s simply a beauty and a charm to look at. All this car needs is a new owner who will love and care for it like itâ€™s already been taken care of. Bid with confidence !!! Scoop this baby for the right price before spring ! Off the block, the color combination is neither as rare nor, arguably, as desirable as the Alpine/Beige leather. Presented in Titanium Silver Metallic (354) over (somewhat oddly) black Sensatec (KASW), this one isn’t as exotic but is still quite classic. Like the last it’s got the P337A M-Sport package, which is more appearance in this case. But importantly it’s the same N55/6-speed manual setup with all the goodies that came in the 135i package as I described in the last post. 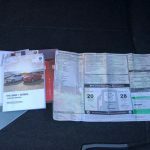 Condition is equal to the last example and the car looks quite fresh despite being nearly seven years old; likely the result of a loving owner and lower miles. Highlights of this one versus the last are lower mileage and some maintenance records, including brakes and more recent top-dollar Michelin Pilot Super Sports. Other notables? This car has a set of factory rear mudflaps, which are hugely controversial in the E82 community. However, owning one with stone-blasted flanks and having sought a used set of fronts from Europe, they’re a desirable item on their own and are NLA from BMW. If you see a set of factory rears, let me know! 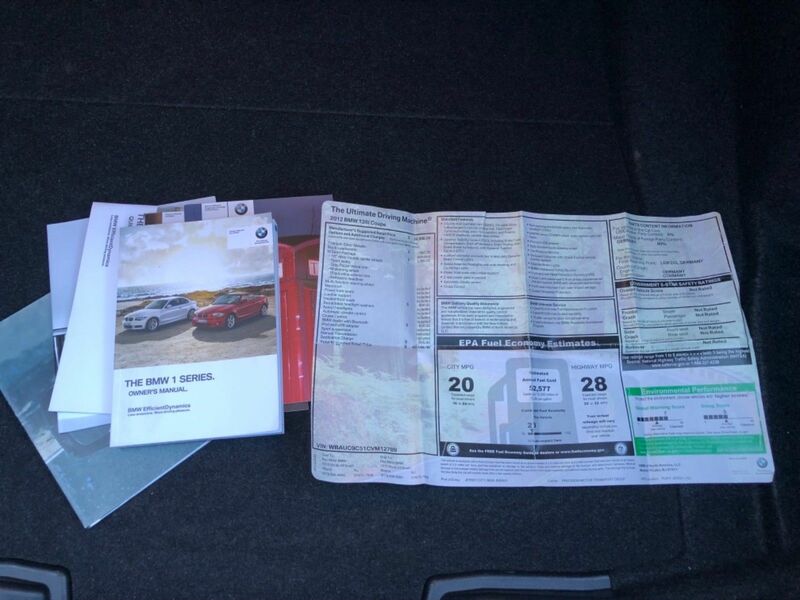 The seller also includes the original documentation for the car, which is nice to see. They also claim it’s got the BMW Performance exhaust, but that has polished tips – this looks like the standard 135i Sport exhaust. It’s also been debadged – assuming its had no rear-end damage, since it’s claimed to have a clean title. But there are two main trumps on this car versus the last. First, unlike the Alpine White one, this model was fairly basic. 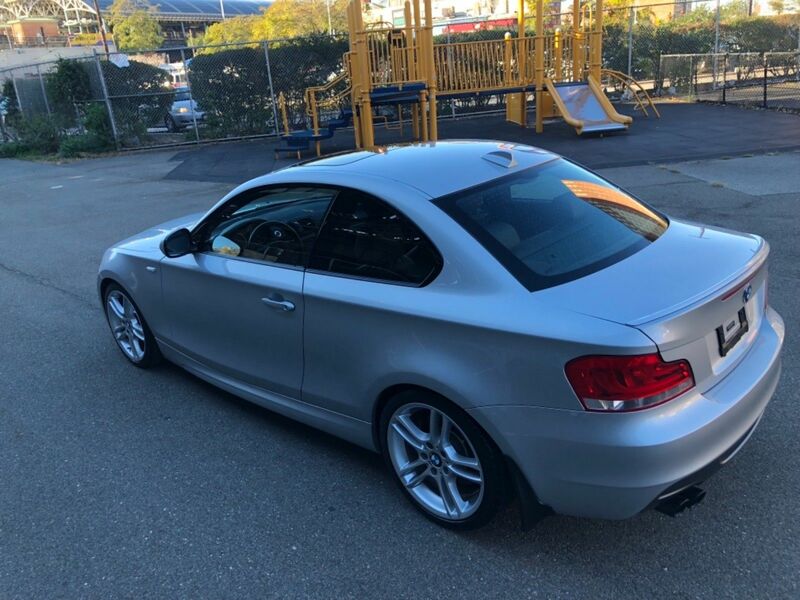 It has the important 135i stuff and the M-Sport package tacked on, but the seller went for the perhaps more durable synthetic Sensatec (which was the base material) instead of leather. 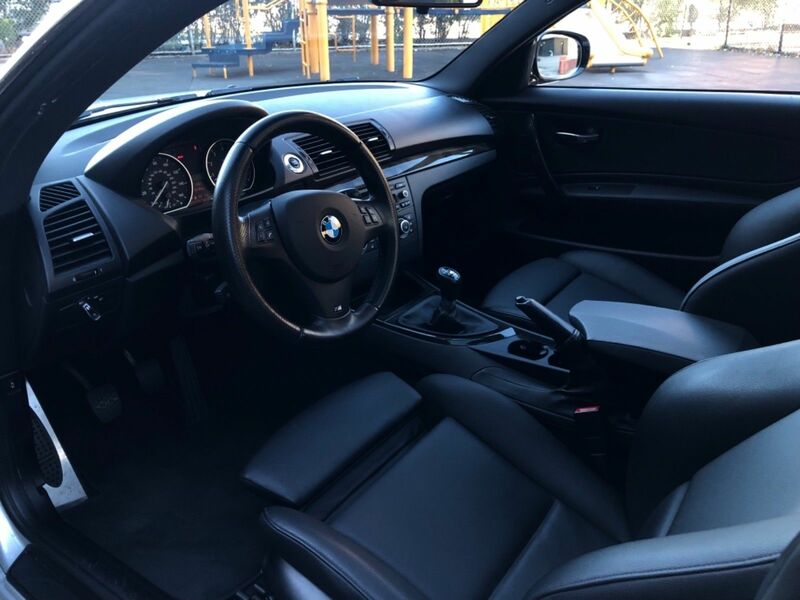 With heavily bolstered seats, even thin drivers cautiously entering and exiting our E82 have left their mark on the driver’s seat. The other reason to like this one is the lack of the iDrive. While some may want that system, I would wager most looking for the Ultimate Driving Machine in the used market are happy to forgo the old tech. But the best part of this car is that it’s offered at no reserve. As a result, we really get an idea of what a clean, original and lower mile example will trade for. The Alpine White example is still on the market with consistent price drops – at last check it was down to ~$23,000. Since that’s still within reach of both M3s and the M235i, I think it’ll sit a bit longer. Today’s Titanium Silver is already up to $17,300 at time of writing with two days to go. If I’m honest, I’ll be surprised if it breaks 20K, but it may come close. These are truly great driving cars and I think will be potential collector material in the future. This is certainly one of the better ones out there right now. Tagged 135i, 2012, 6 speed, M Sport, N55, N55B30, Sensatec, sport, Style 261, Titanium Silver Metallic, Turbo, Turbocharged. 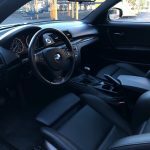 1) It’s my understanding that all 135i’s came with the M-Sport package, which is sport seats, 18″ tires, shocks & springs, and maybe brakes (an a ton of unnecessary badging). 2) With nearly 50K miles, it’s due for shocks and probably other rubber bits. 3) And this is the important part, if they installed Michelin PSS, it’s going to ride VERY soft. Not grandfather’s Buick soft, but you do lose some of that sharpness in the steering and it will bounce and float a lot more. BMW put in very soft bushings to accommodate for the harshness of the runflats. The solution is generally to install the 1M/M3 bits, which have firmer bushings. Upgrading the shocks & springs at that time is also a popular option. 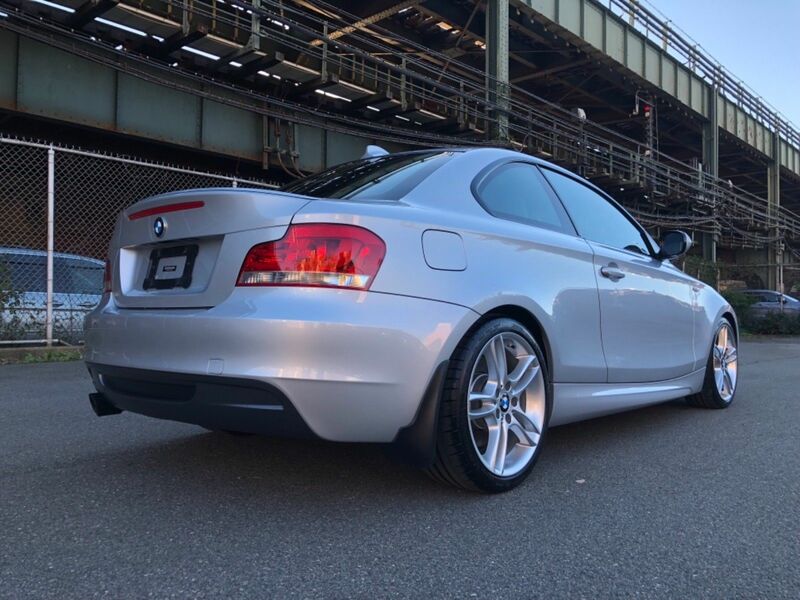 The 135i came with most of what typically would comprise a “M-Sport” package as standard – the big BMW-branded brakes, 18″ wheels, sport exhaust, multi-function steering wheel, M-branded shifter, M-Sport suspension, body kit, etc was all standard on all 135is. 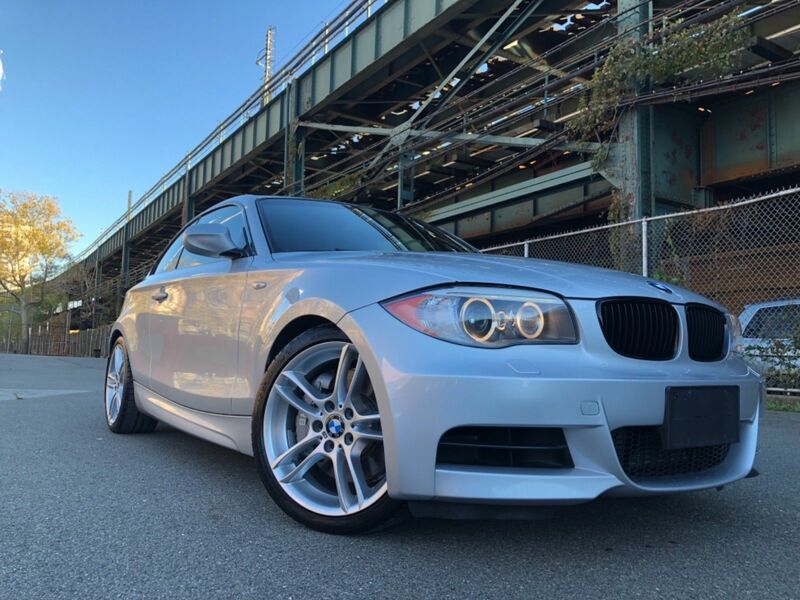 However, the actual “M-Sport” designation package for the 135i only came with the black headliner and Style 261 split 5-spoke wheels you see here. My 135i does not have the M-Sport package, so it has the Style 264 (solid 5-spoke) wheels and a gray headliner. I’ve got the original catalog at home and verify the information. 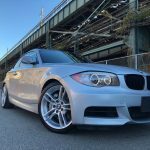 The wheels are generally the easiest way to tell the M-Sport from the standard 135i. Sport seats were also supposedly as standard, but I’ve seen 135is equipped without them. Re:mileage – mine just hit 100,000 last month and is on the original suspension. It still feels very tight. Mine is also on Continental Extreme something something somethings, but they are non-run flats, and again the car is pretty tight and direct. My M3 rides on PSSs and, if anything, it’s too stiff (though they’re 19s). Just a thought. I definitely wouldn’t make our 135i any harder for the roads around me, but I guess if you live in an area with very smooth roads maybe that’s an option. Thanks for the info. My assumption that all 135i’s were also M-Sports was from 1addicts. Your experience with non RFT’s is much different than mine. On my wife’s E70 (M-Sport), I went from the stock Bridgestone Dueler HT/Sport (RFT) to the Continental Sport DW. The only change was that it felt a little dead on-center. Otherwise, it was the same vehicle. On my E88, however, it was very different when I went to the MPSS. It felt floaty and the steering was still BMW, but not as good as it was with the Bridgestone RFT’s. It’s a little more vague when I point it, and the rear-end is all over the place. Granted, I’m a few hundred pounds more than the coupe, but it shouldn’t be that big of a difference in feel. 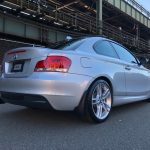 My plan is: M3 Control arms front & rear, ST-X coilovers, Bimmerworld solid RFSB’s. All to accommodate for the fact that I won’t run RFT’s.